The U.S. economy has seen significant improvements in the past few years, and continued growth is expected. For the fiscal year 2018. the total U.S. government revenue is expected to be $6.32 trillion. The economy in the U.S. accounts for 25 percent of the world’s gross domestic product. Small business owners are feeling greater confidence. The National Small Business Association found in its survey in Dec. 2017 that 84 percent of small business owners are confident that their businesses will be successful and a majority expect that their businesses will grow. With the robust economy, companies that have fleets of vehicles for their employees to use for business travel may want to consider getting fuel cards for their employees. These cards can help to eliminate travel expense forms and save money on the transportation expenses. What is a fleet fuel card? Fleet management fuel cards are cards that companies give to their employees to use at filling stations when they are traveling for their jobs. Instead of workers using their own credit cards or cash to purchase gasoline while they are traveling, they can simply charge the fuel that they need on the fleet fuel cards that they are given by their employers. Giving workers fuel cards to use can help to make the expenses easier to manage and track while eliminating the problems that can come with processing reimbursement requests. How does a fleet fuel card work? Companies that have fleets of vehicles may get fuel cards for their employees. The fleet fuel cards are only able to be used to buy fuel and cannot be used to buy other items, including purchases from inside of the filling stations. Some fuel cards are branded by specific gas station chains and can only be used at those stations. Some companies also allow fuel cards to be used for any purchases at the filling stations, including items inside. Other fuel cards such as the cards that are available at Bento for Business allow business owners to restrict their use to fuel-only purchases and to set limits on the amount of money that their employees can spend per day or week. Prepaid fuel cards for fleets allow companies to fund each card with the amount of money that they choose and pull money off of the cards instead of from the checking accounts that are used to fund them. Why is a fleet fuel card important? Having a gas fuel cards for fleets is important for companies that either have a number of employees who regularly travel for business as well as those that are in the transportation industry. The cards can allow employees to get gasoline for their fleet vehicles wherever they might be using the money that has been allocated for those purchases by the organization. How can a fuel card reduce expenses? Businesses that require employees to submit travel expense reimbursement requests lose a lot of money in their transportation costs. Some employees may submit receipts for their own purchases or submit fraudulent request forms. The cards also help companies to cut the costs that are involved with processing reimbursement requests, resulting in time savings. 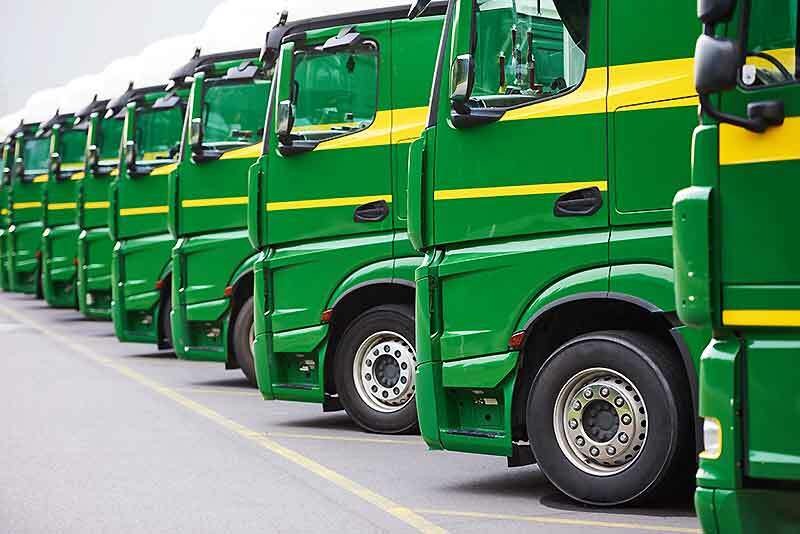 By using cards, companies can see how much money is being spent on fuel for their fleets at any time so that they can make any adjustments that might be needed. How do fleet fuel cards allow you to control spending? Fuel cards for your fleet can help you to control spending in several ways. The business Visa debit cards from Bento for Business allow you to choose what you would like each of your employees to be able to purchase. You can also decide how much the employees can spend each day or each week, and you can turn the cards off when your employees are not working. This can help you to prevent losses from abuse or misuse of your fuel cards. How do employees benefit from fleet fuel cards? Your employees can also benefit from receiving gas fuel cards. They will not need to spend their own money on fuel and then wait for your company to approve their requested reimbursements. Employees who are expected to wait to be reimbursed may feel resentful and end up leaving your company earlier than they might otherwise. What makes for a good fleet fuel card? There are several features that make a gas fuel card for your fleet a good one to choose. You should look for a card that can be used at any gas station instead of just a specific brand’s stations. This can help to save you money and time that your employees might otherwise have to spend searching for the nearest branded station. Another good feature to look for is a card issuer that doesn’t require your credit to be checked before your company can be approved. Getting a credit check can cause your score to fall. Cards should ideally not charge high rates of interest or high annual fees and should come with strong security features. The fleet cards at Bento for Business are business Visa debit cards. You choose how much money to place on your card, and the amount that you choose will serve as the card’s limit until you decide to refill it again. You can set spending categories and prevent your employees from making other purchases than what you have authorized. The cards can be used at thousands of locations nationwide. The fleet cards also use a highly secure SSL technology, and deposits are insured up to $250,000 by the FDIC. Applying takes less than a minute, and your approval does not depend on your credit. These cards are business debit cards. Call 866.220.8455 or start a free 60 day trial to learn more about the benefits of fuel cards for your employees.